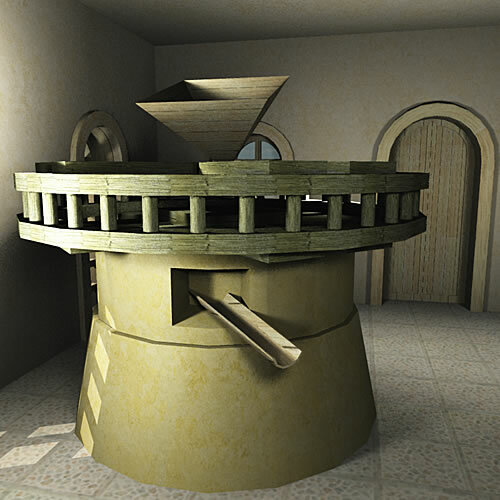 Elves grind the finest grains for the legendary elven bakers. 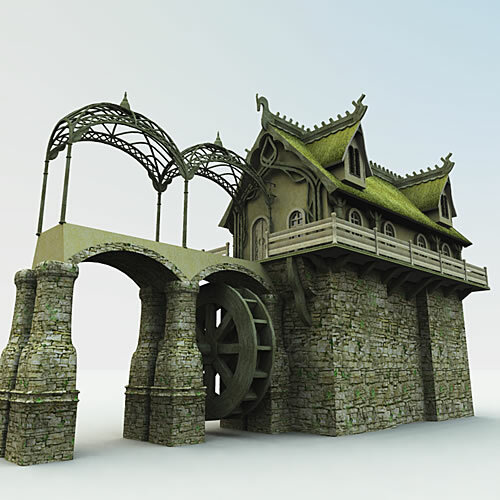 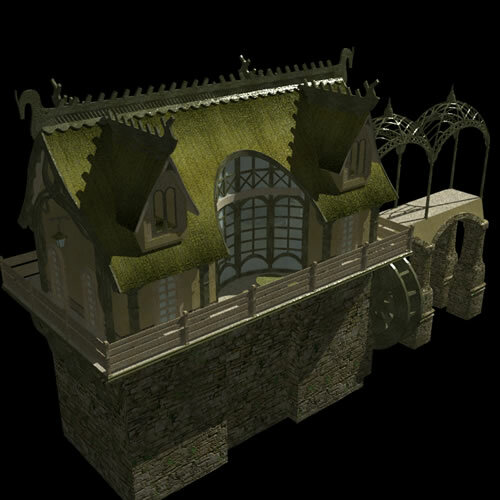 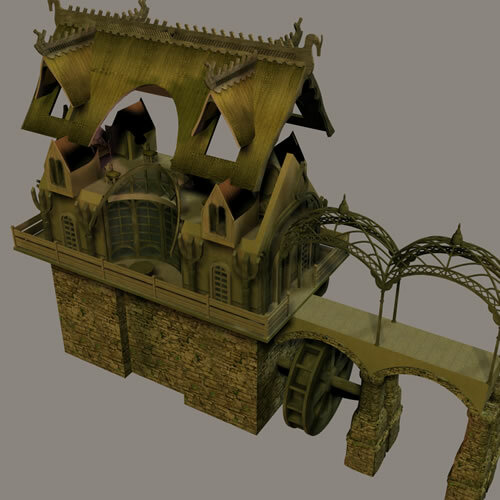 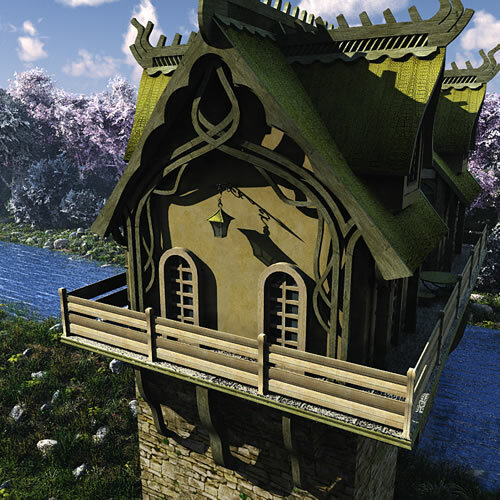 The Elven Village Watermill has a arched walkway over the wheel that can be connected to other arched walkways. 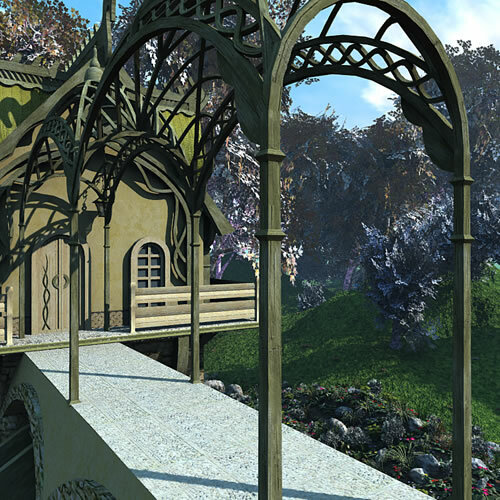 Outside a curved bay window, its possible to enjoy the view of the water below. 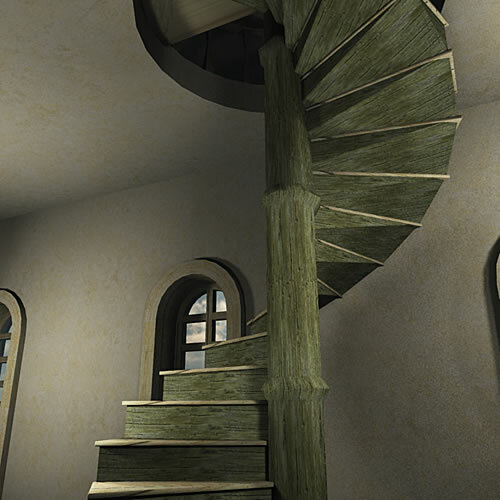 Inside, on the first floor is the mill itself, whereas above there are living quarters for the miller and his apprentices. 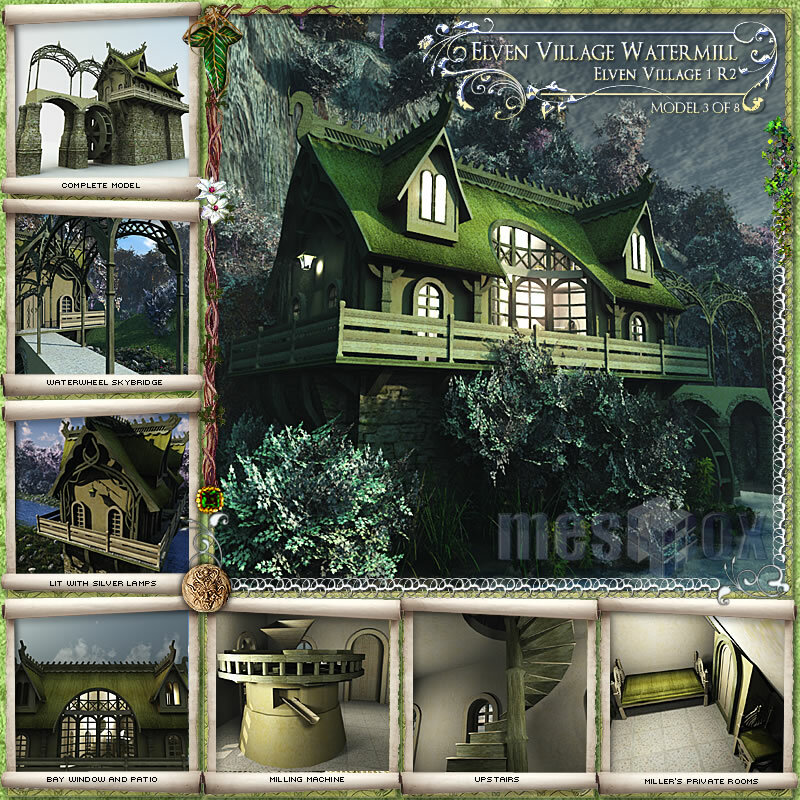 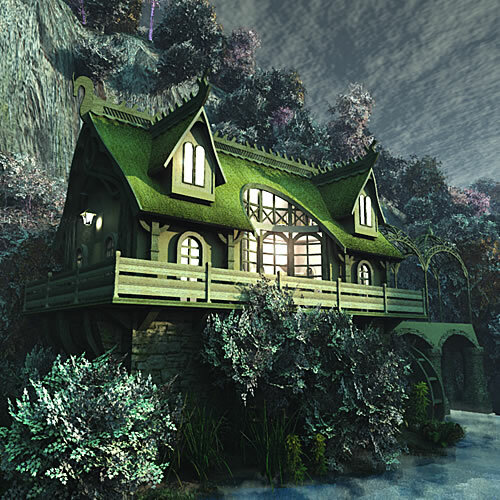 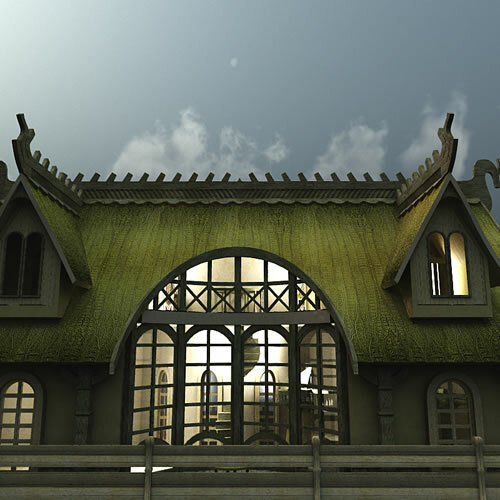 Elven Village is the ethereal home of elves, rich with history and unique architecture, crystal lamps and green dragon skinned roofs. 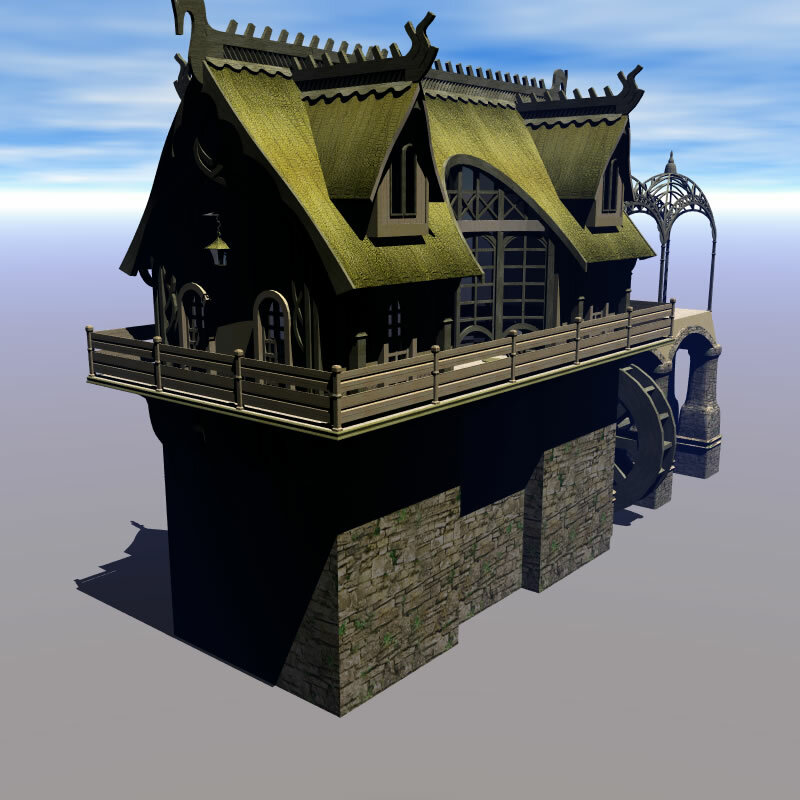 R2 version has an organized runtime, with separate props (pp2), character based models (cr2) versions of the building. 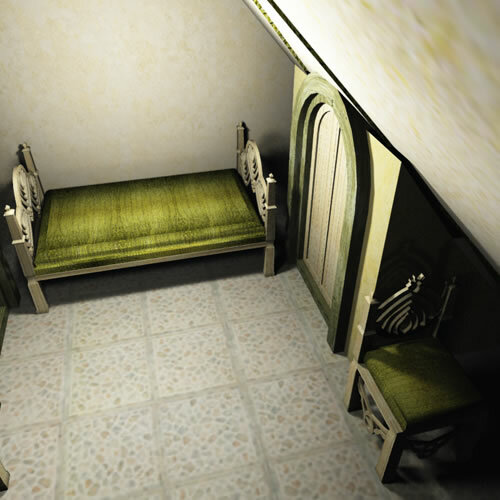 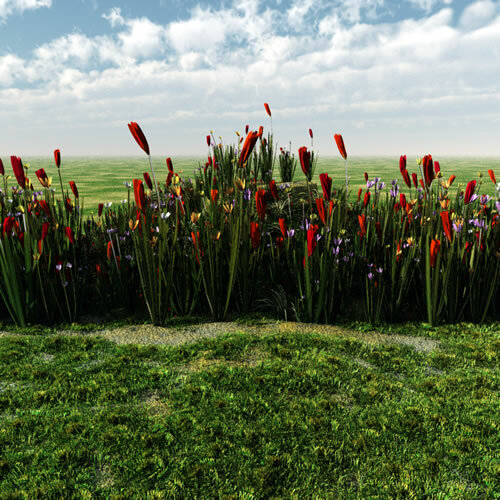 This set is compatible with Blender 2.7.1 or higher.